Lonely Planet Coastal California is your passport to the most relevant, up-to-date advice on what to see and skip, and what hidden discoveries await you. Get to know the rocky Big Sur coast like the locals do, hug the world’s tallest tree in Redwood... read more National and State Parks, or take a tour of biodynamic vineyards and sample new vintages in the Napa and Sonoma wine country; all with your trusted travel companion. Get to the heart of Coastal California and begin your journey now! The Perfect Choice: : Lonely Planet Coastal California, our most comprehensive guide to coastal California, is perfect for both exploring top sights and taking roads less traveled. Looking for a guide focused on San Francisco or Los Angeles? Check out Lonely Planet’s San Francisco guide and Los Angeles, San Diego &amp; Southern California guide for a comprehensive look at all these cities have to offer; or Pocket San Francisco and Pocket Los Angeles, handy-sized guides focused on the can’t-miss sights for a quick trip. 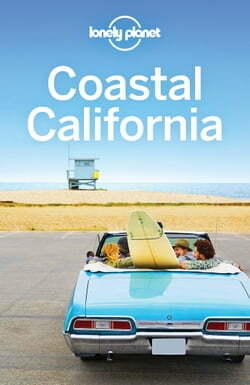 *Best-selling guide to Coastal California. Source: Nielsen BookScan. Australia, UK and USA.